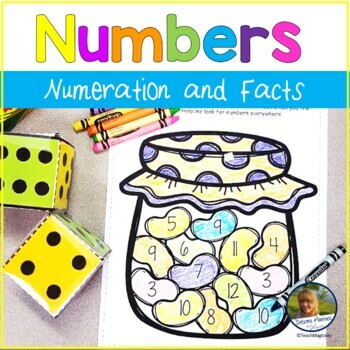 Work on number sense, finding numbers, and addition with a fun jellybean game. 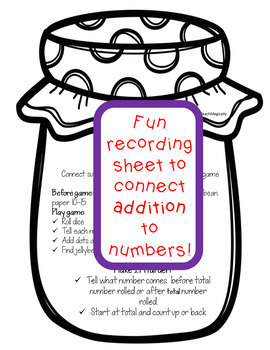 Can be used whole group or in centers. 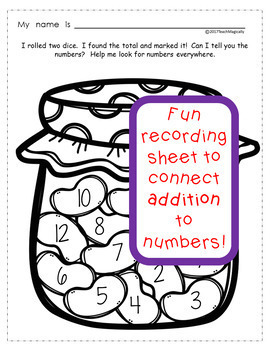 Easy prep and can be used all year with counting beans. 12 different sheets to develop independence! Playing games isn't a waste of class time - it's an intelligent and purposeful use of time. Check the preview to see all sheets! Phonemic Awareness Blending Puzzles and Dibels Practice Fun! (c)TeachMagically. Permission is granted to original purchasers to reproduce material as designated only for their own classroom use. No other part of this work may be reproduced in any form or by any electronic or mechanical means including information storage and retrieval systems without permission, except by a reviewer, who may quote brief passages in a review.